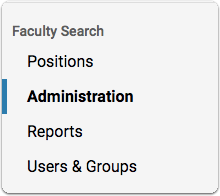 Tags are bits of text that can be added to an applicant's record to help sort, categorize, and quickly identify applications in Faculty Search. To identify candidates with significant achievements such as teaching awards or fellowships. To mark progress of an application through the hiring process ("Interviewed," "Shortlist," "Not Competitive"). 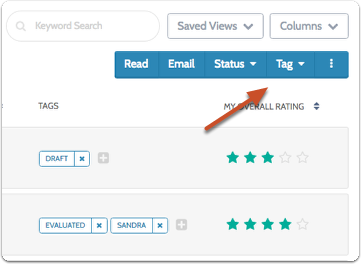 To quickly add comments useful for sorting applications ("Good Teaching Evaluations," "Strong Publications"). To mark applications they have reviewed or are responsible for reviewing. To filter the list of applicants and focus on the most competitive. 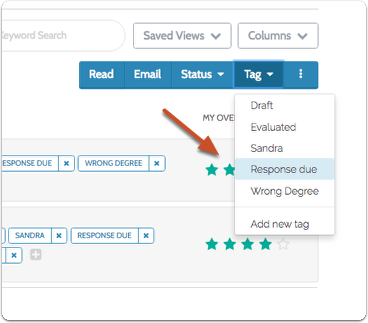 Committee Managers can also use tags to assign specific Evaluators to a candidate. 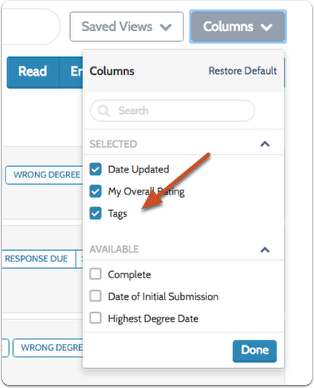 Tags can be added from the Applications page, the Applicant Profile of an individual candidate, and can also be attached to an application when running an application report. 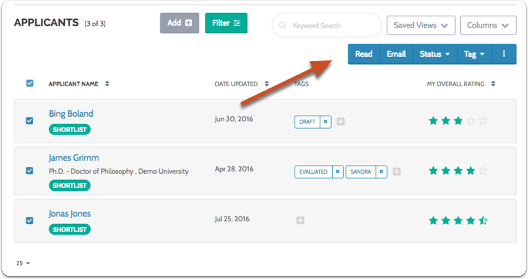 Click "Applicant" at the top of the table to select all applicants. The buttons that appear here are determined by your permissions in the program. 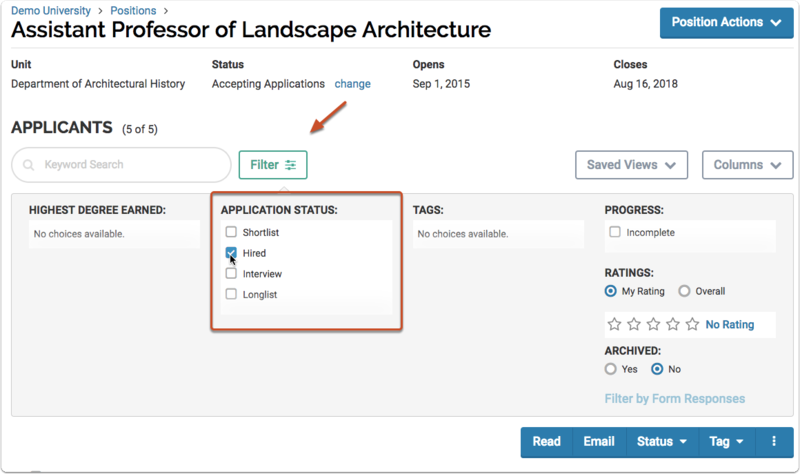 Note that the active filters appear across the top of the list of applications. 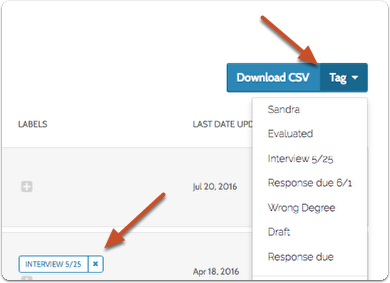 For more information see the article on how to Create an Applications Report.